I first learned about LinkedIn when I had passed out of my post graduate program. I was excited and spent good amount of time setting up my profile. I wrote a few recommendations for a few of my classmates and they returned the favour. From then now I got hooked looking up people’s profiles with similar interest areas and adding them to my network. Now this forum seems to helping me more than ever. 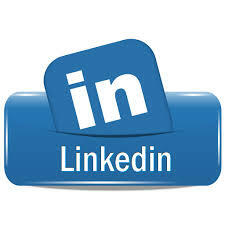 The current project called GYAN that I am handling has given me more room to be in LinkedIn. Get Your Answers Now or GYAN are customized training sessions organized exclusively for NGO professionals for no more than 10 participants. Who conducts these sessions ? Professionals who volunteer their time and effort to handhold NGOs in areas such as Excel, Successful Pitching for Corporate Partnerships, Social Media Marketing, Volunteer Management, Crowd-Funding, Developing/organizing Content, and the like. Finding suitable trainers who commit their time is very crucial for this project. Professional networks, past trainers and past trainers recommending other trainers are the most used sources for locating these resource persons. However, LinkedIn has opened new doors as a fresh resource pool with its feature called skill based volunteering that can be included in one’s profile. Credit goes to the national coordinator of GYAN who helped me navigate through this feature. So when looking for a trainer for a specialist area such as Communications or Fund-Raising, profiles which include skill based volunteering get filtered in. One only needs to remember to select the choice of skill based volunteering under the column – Non profit interests when searching for profiles and LinkedIn takes care of the rest. This way I have located some trainers in the areas of writing annual report, fund-raising, cause marketing and counselling. I have started planning sessions with them this year. True to the projection of skill based volunteering in their profile they keenly accepted my invitation to conduct a training for the non-profits. Just another example of how technology has built more ways of communicating and connecting better. Previous Post Volunteering and Volunteer managing!! Next Post More Giving is equal to even More Returns….